The Kalamazoo-bred, progressive bluegrass powerhouse shot straight to No. 1 at WYCE with its new studio album, and some familiar faces round out the January chart of most-played releases. Never question the power of Greensky Bluegrass. The band’s seventh studio album debuted at No. 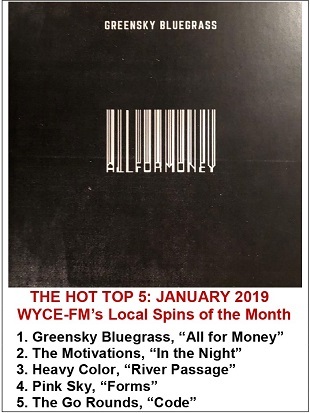 1 on the Local Spins Hot Top 5 Chart of local and regional albums getting the most airplay in January at Grand Rapids community radio station WYCE-FM (88.1). Greensky Bluegrass entered the chart at No. 1. Recorded at North Carolina’s Echo Mountain Studios, and co-produced by Dominic Davis and Glenn Brown, the intriguing collection launches with a rock-and-psychedelia flourish via “Do It Alone.” It then settles into Greensky’s classic prog-bluegrass charm with ever-stronger vocals and creative arrangements throughout. That momentum will carry them this week through two straight nights — Friday and Saturday (Feb. 8 and 9) — at The Fillmore Detroit with another Michigan-bred bluegrass hero, Billy Strings, also on the bill. Get tickets and details online at greenskybluegrass.com. 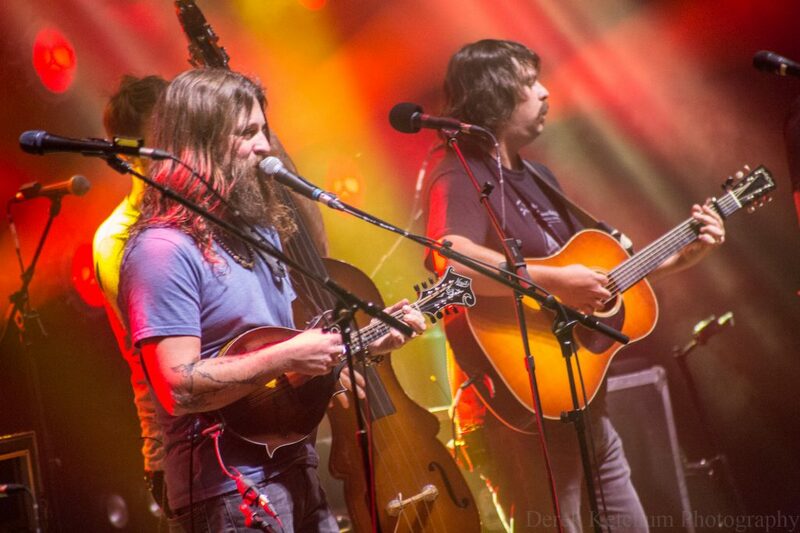 And read Local Spins’ review of the new Greensky Bluegrass album. The rest of January’s Hot Top 5 was filled with names of familiar regional stars, with May Erlewine & The Motivations’ December release, “In The Night,” dropping one spot to No. 2, Heavy Color’s “River Passage” returning at No. 3 after topping the chart in October and November, Pink Sky’s “Forms” re-entering at No. 4 after snagging the No. 1 spot in June, and finally, The Go Rounds’ April 2018 release, “Code,” earning the No. 5 spot. Listen to tracks from all of the albums below, and browse the list of new local and regional releases at WYCE.